When executed well, illustration can draw in the eye of the consumer. I wanted to include my love for illustration into my package design for a series of chocolate bars and their box. 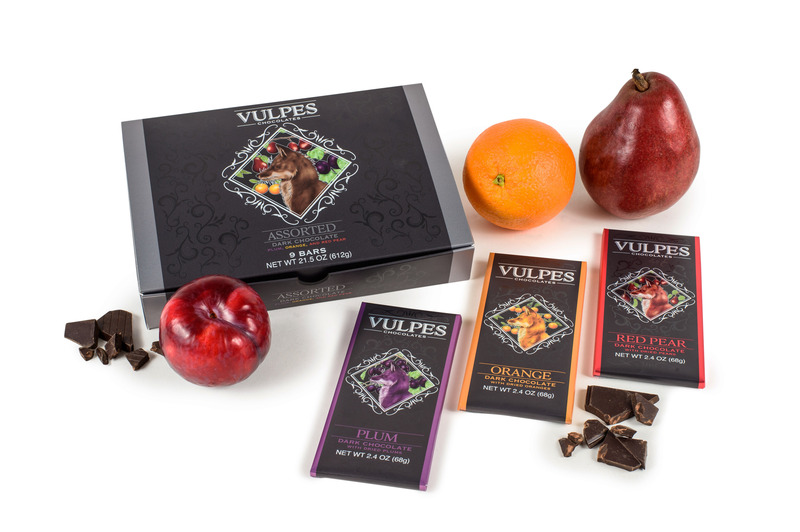 The name Vulpes means fox in Latin, so I illustrated four different foxes along with the fruits that added the flavor to the chocolate. 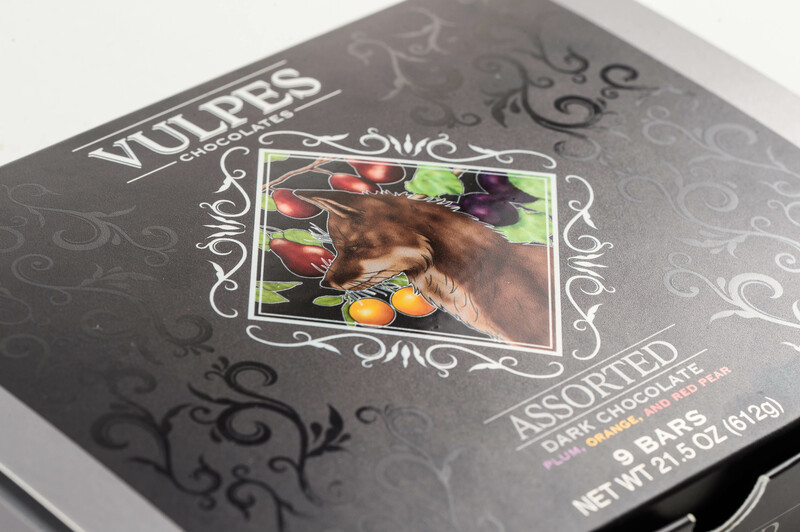 The design was kept sleek and dark, matching the dark chocolate inside, and the illustrations were digitally painted. Printing techniques, such as gloss and foil paper were used to add an extra touch of extravagance.